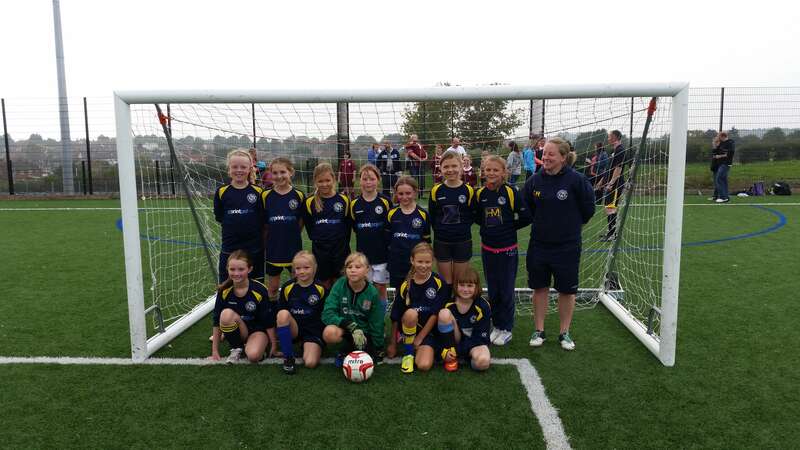 The U11 girls are in their first season in the Northamptonshire Women and Girls Football League, with players from school years 5 and 6. We have a full squad and we are looking forward to competing in our first season and improving game by game. We train on a Friday night from 6:30-8.00pm and our games are on Saturday mornings. 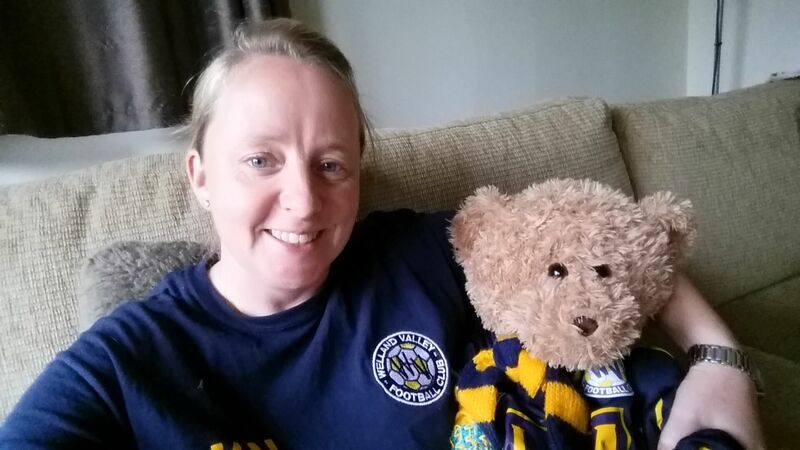 We have a team mascot, a lovely teddy bear called Biscuit who has his own Welland Valley kit and trendy trainers. Biscuit is also our Player of the match reward and the player who works hardest, shows respect and sportsmanship or performs really well, gets to keep Biscuit for the week and update his diary. He has proven to be a real talking point within the club and we are very proud of him! Kathryn, Harley and Rachael look after the two younger girls teams, for more information contact Kathryn via our contact page. U11 Girls Manager and Mascot…….you decide which is which.